There seems to be a whole niche area in which you often hear the terms farm, ranch, and homestead. The question is, however, are these terms interchangeable, or are they each a separate concept and entity? If you are thinking of venturing into the world of sustainability, agriculture, and livestock management, it’s important that you understand the intricacies of the field. Let’s start from square one. The most basic piece of information to know is that there is, in fact, a difference between a farm, a ranch, and a homestead. Each establishment has a different main purpose, although they may overlap in their overall idea, which is to cultivate fresh products. Comparing and contrasting, we see that a farm and a ranch are similar in that the main purpose of each is to yield sellable products, yet they differ in what their target products are. On the other hand, a homestead is nurtured with the purpose of providing a self-sustaining lifestyle to the homesteaders themselves. In other words, a homestead is not run with the purpose of selling the produce. To help you understand all the differences more clearly, we’ll dive deeper into each distinct unit. What do you picture when you imagine a farm? Expansive green fields growing with various fruits, vegetables, and grains? This is an accurate perception of what a classic farm is. 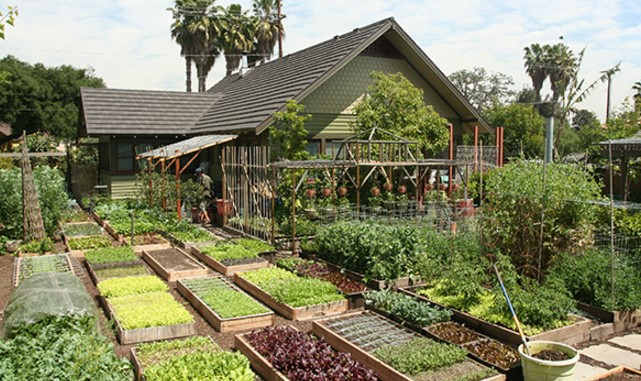 Farms are purposed with growing and producing food items, usually fruit and vegetables for reselling. Do any of these items ring a bell as something you have seen on a farm? The truth is that farms can be used to cultivate any type of produce or grain. It depends on what the farmer chooses to focus on. For example, there are farms dedicated to growing only one product, such as corn. There are also farms which may grow various crops, such as many fruits. Although our childhood depictions of farms often included animals, the definitive purpose of farms is not to raise livestock. Oftentimes, there are animals, such as chickens, cows, horses, and dogs that live on the farms, but they do not have bearing on the farm’s main crop purpose. If you’re imagining a place where livestock is raised in order to produce meat, then you are thinking of a ranch. This is the vital distinction between a farm and a ranch. Farms are for produce like vegetables and fruits, while ranches are for raising livestock for meat and other products. On a typical ranch, you will find animals being raised by ranchers with the focus being their development and growth in order to eventually be slaughtered for meat and other products, such as wool or leather. Ranchers spend their time guiding the livestock to graze and feed. 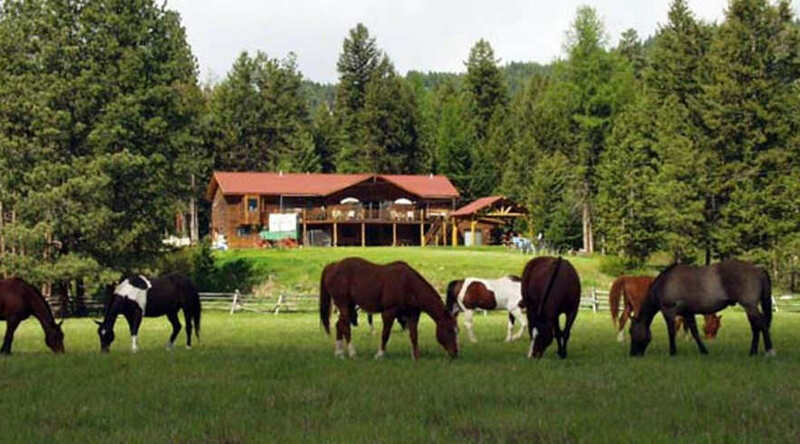 They may purchase feed for the livestock or sometimes the livestock feed is made on the ranch itself. There are often animals such as horses or dogs that ranchers use to enhance their ability to graze and raise the livestock. So we’ve talked about farms and ranches, and it seems like they cover the general idea of this niche. Where does that leave the homestead, you ask? The homestead is perhaps the most classic image that pops into your head when you hear the words ‘farm’ or ‘ranch.’ You simply have not been fully educated on the complex differences until now. The reason that a homestead is the most accurate comparison to the image which pops into your head is because on a homestead, you will find it all. Fruits, vegetables, grains, livestock, it may all be there in one spot! Why is this? The purpose of a homestead is to create a self-sustainable life for the owners. This means that is completely within the owner’s choice and control what they choose to produce on their land. They are not working with the goal of selling products, but simply of feeding themselves and their family. Homesteaders may start on a small scale by buying a piece of land, fixing their home, and beginning to grow one or two crops. As time passes, they often add animals such as chickens into the mix for eggs, and other livestock for meat. The size and scale of a homestead depend solely on the land and what the homesteader chooses to do with it. If you’re thinking about delving into this niche, it is important to consider what your purpose is. Do you want to create a business? If so, then you want to research farms and ranches further to learn more about what is necessary to beginning setting them up. If you are interested in shifting to a more individually sustainable way of living, then homesteading may be the path for you. Farms, ranches, and homesteads all take time and dedication. Consider your options and purpose and make your decision based on that. If you’re simply interested in understanding the differences between the three establishments, then hopefully you’ve gained some further insight. Now you’ll be more aware in your next discussion about crops, livestock, and where they are raised and produced! For commercial purpose, an integrated farm sweetly tie them together – crops, livestocks and fish. Biogas digester can also be included. I think you should add integrated farm to the list. Sustainable Homesteading is the aim in which there is very little waste. Renewable energy sources, low maintenance & drought resistant planting & animals that use fiber as digestable forms of food. Cost effiency is everything & is key when working on this type of survivalist goal. dream of the lifestyle that is suggested here on this website…I would highly recommend your family history & your age be taken into concideration but what ever you do – have fun! Your passion should always be fun or why bother?